1. Photo Line-ups and Eye Witnesses (see pictures and legal arguments developed for a case). 2. Child victimization – physical abuse and neglect, sexual abuse, and emotional abuse/neglect. An expert witness can help explain and support your side of the case. Mary Clement’s academic training, education, degrees, publication means that the Judge will give credence to her opinion. In terms of custody cases, she can interview the children and determine their developmental needs to help the court decide the case. She has done cases in Sumner County and surrounding counties such as Wilson, Rutherford, and Davidson. She can also go out of state on your behalf (additional charges for transportation and lodging apply). Children have emotions and need help in processing them as well as adults. Listen to this personal experience when using Mary Jeanette Clement to work with children. This information was used in court with her being an expert witness. 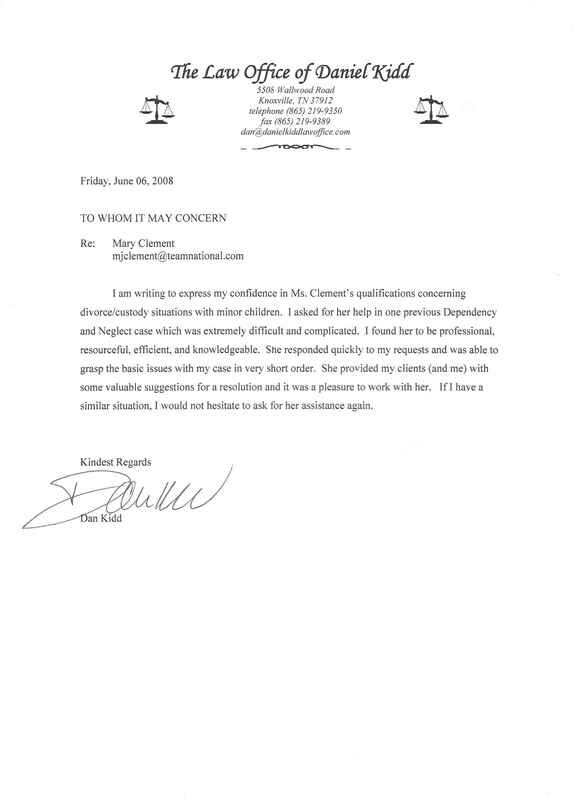 If you are an attorney, Mary Clement also believes in cooperation of disciplines. She has had experience working with clients with complex and challenging cases. She will act in concern for health and safety of your clients. Working with you, she can provide a more effective use of your client’s money for his/her greatest return. If you desire more information, please contact our office at 615-206-1553.